Lyn Kelly was 11 years old and living in Wichita Falls on a stormy April 10th, 1979. "It was like time stood still and once it was over, time picked up again," Kelly shared. As TV stations broadcasted weather warnings, Kelly's mother looked outside. "All she could see was this huge black wall, unbeknownest to her that was the tornado." "As we get in the hallway, you hear them say there's a tornado warning for Wichita Falls. There was a rumble, there was nothing, then it was like the house exploded," he says. The walls of the home caved in on the family, protecting them from debris. After the storm passed, Lyn could not recognize his neighborhood. The tornado that hit Wichita Falls was a mile wide. 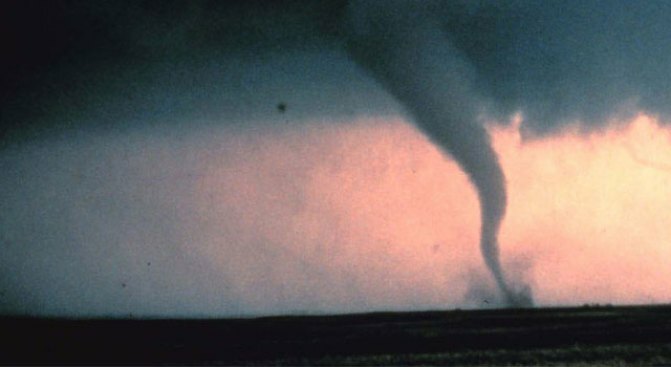 It destroyed more than 3,000 homes and caused $400 million in damage and killed 42 people. "So many people left their houses and were killed and it turns out if they had stayed in their house, the tornado wouldn't have touched it," Kelly believes. While Lyn Kelly never wants to be in another tornado, it's given him a lifelong fascination with the storms. "You appreciate the power and what they are."